BRING THEM TO THE RESTORE!!! 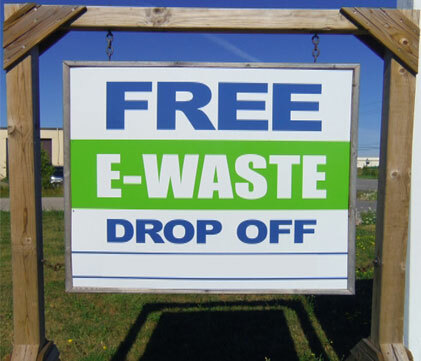 The ReStore works with the Ontario Electronic Stewardship to collect e-waste and help reduce waste going to the landfill and ensure that electronics are responsibly recycled. We work with local companies that have their recycling facilities located in Canada. Habitat for Humanity ReStores receive payment for the collection of e-waste which is then used to help build homes for families in our community. Do your household a favour and clean out that old junk!… and do another family a favour by helping to support building them a new, safe home.